We have another unique artist for you today, and when we say unique we mean out-of-this-world mind blowing! 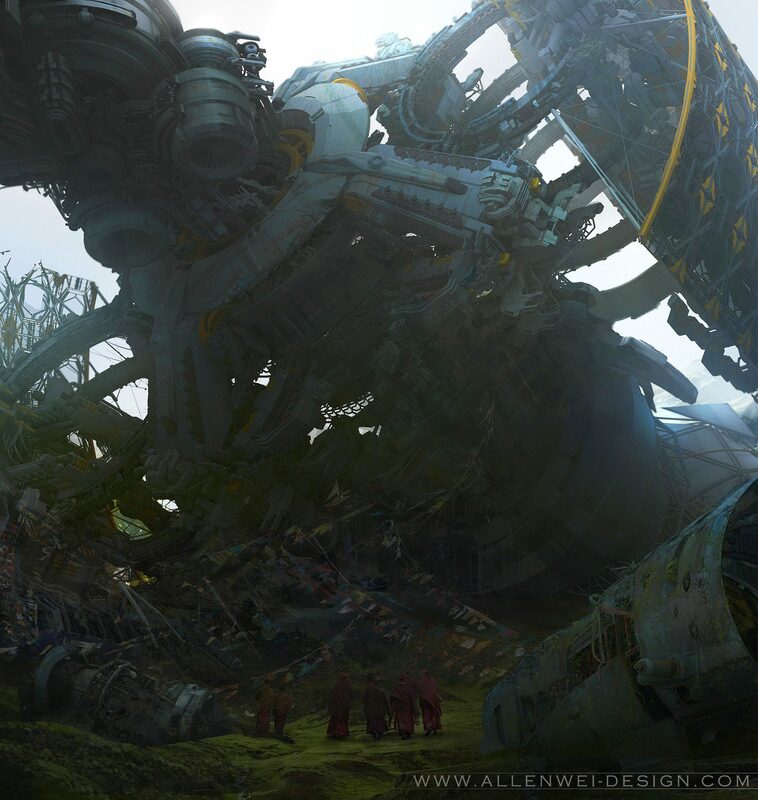 Allen Wei is an award-winning concept artist, VFX supervisor and producer, and matte painter working out of Beijing, China. He has worked as a concept artist on movies like Jupiter Ascending, Turandot, The Monkey King, The Arctic, and many other projects, and as you’ll see soon enough, Allen’s eye for detail and composition is almost supernaturally precise. Below is a sample collection of his oeuvre. If you click on any image it will take you to the corresponding gallery. Enjoy! Although I did not enjoy Jupiter Ascending as much as I could have, mostly because of the lack of proper cohesion in the narrative and choppy continuity between the scenes, visually the movie was stunning and that made it a fun watch. And now I know it’s Allen’s phenomenal talent that is responsible for my enjoyment of an otherwise lacklustre movie. Allen’s unique style is a visual feast of color and tone and detail. You’re forced to take your time to absorb everything, and make no mistake, there is a considerable amount of detail in these paintings. Let me know your thoughts in the comments. I am more curious than usual to hear your impression of today’s artist.